My name is Kim Hornemann and I am a 22-year-old Métis youth born and raised in the Fraser Valley. 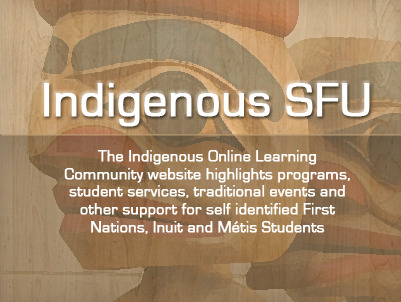 I am currently in my fifth year of full-time study in the French Cohort program at Simon Fraser University. Simultaneously, I am working part-time for Canada Revenue Agency both in office and on campus as a CRA Student Ambassador. I never expected to be here. Here is my journey... so far! In high school, my first passion was for my science classes, specifically biology and chemistry. Through extensive involvement in my classes, I was granted access to many opportunities, such as the Summer Science program (a one-week summer science camp for Aboriginal high school students run on the UBC campus) and the Kwantlen Science Challenge (a science competition split into different subjects). In addition, I was able to involve myself in the community and do a lot of volunteer work. One of my good friends had done the Altitude Youth Experience program for Spirit of BC prior to the 2010 Olympics. She was tasked with the creation of a youth committee and the planning of a youth event back in her community. I joined her committee and we volunteered at multiple family and cultural events in our city, and planned activities for some events. Leading up to my graduation year, I was convinced that I was going to attend UBC and study science. However, one day, I accompanied a friend to an information session for the French Cohort program at SFU, purely to keep her company. Come September, she had decided on somewhere else, but I was enrolled in the program and starting my classes at SFU. In a matter of months, I’d done a complete 180 in regards to my goals—I was now pursuing French and hoping to follow in my mother’s footsteps in becoming a French immersion teacher. Midway through my first year at university, my aunt, who works for Aboriginal Affairs, suggested I apply for a program she had heard of, namely the Aboriginal Student Employment Program (ASEP) at CRA. Up until then, my work experience had included a short stint of on-call catering and some gardening. I didn’t think much of my chances, inexperienced as I was. When I was called for an interview and showed up at the downtown West Pender office, I looked up at the skyscraper of a building and couldn’t believe this would be the site of my first ever job interview. I was eighteen and inexperienced even in the domain of dressing business-casual. Happily, I got an email congratulating me on my inclusion in the pool of successful candidates, and in June, I was placed at the Burnaby-Fraser Tax Services Office! I was put in the Insolvency department along with another Aboriginal student and went through a full week of training and learning. Because insolvency is such a specialized area, there was a great deal of material with which to familiarize myself. Eventually, I was set to work on the personal income tax accounts and GST accounts of people who were going through a bankruptcy or proposal. My job consisted of handling incoming correspondence and phone calls, analyzing and making decisions on accounts, and being in contact with the Trustees and Administrators of the insolvency events. The other student and I managed our own inventory of accounts, doing the same work as the fully-fledged officers on our team. My first year at CRA I worked full-time during the summer and had my contract extended for part-time work during the school year. This arrangement ended up being extremely convenient as the primary concern of my team leader was my schooling. As long as I gave sufficient notice, I was able to switch my day around in order to accommodate my university schedule. Come May, my contract was extended again and I was transitioned smoothly back to full-time. The other student returned for a second round as well, and this time we were introduced to more challenging work. For the first time ever we had the opportunity to be in contact with the taxpayers whose files we were working instead of just the Trustees. I had a lot of difficulties with this due to anxiety and timidity, but luckily my team leader was very understanding and tried to find ways to help me. However, at the end of that summer I had to leave the agency because of my university program’s requirement to spend a year abroad at a French-language university. I was the only one in my program who chose to go to the partnered university in Belgium, as most understandably picked France. I spent my year abroad in a small town of about 11,000 people just south of Brussels in Wallonia. This was my first time living by myself and it was like being thrown into cold water. I was obliged to show up with just an appointment for a housing agency and meanwhile lived in a hostel in Brussels. I paid bills for the first time, budgeted my money, did my grocery shopping and learned some rudimentary cooking. I also had the opportunity to travel quite a lot, and made sure to try a Big Mac wherever I went (Italy had the best). It was an amazing opportunity and a growing experience like no other, and I returned home more self-assured, skilled and confident than ever. While I was gone, I kept in touch with my team leader back from CRA, to discuss returning to work once I was in the country. He let me know when the ASEP posting appeared on the CRA external site so I could reapply, and I very happily found myself back there the following summer. Especially since I had fruitlessly applied to retail jobs throughout the year. Since my return, I’ve had the opportunity to work a greater variety of positions within insolvency at my level. I’ve been able to handle more complex cases, make my first ever payment arrangement with a taxpayer, and even help train the new ASEP student and a couple of incoming team members. With the confidence gained from my year of growth in Europe, I really feel more comfortable in everything I do at my job and truly enjoy it. In addition to my in-office roles, I was nominated by my new team leader (my previous one now acting as a manager) for the CRA Student Ambassador program. Through this, my job is to attract new talent to CRA through peer-to-peer marketing and awareness campaigns of CRA career opportunities on campus at SFU. So far, I have manned booths at two university career fairs and I have really enjoyed networking with others students and spreading the word about the wonderful experience I’ve had with my employer. There have just been so many benefits: the flexible working schedules that always seek to accommodate my school work and learning, the unending support and encouragement from my team leader(s) in terms of career development opportunities, the friendly and warm staff that comprise my team (there are cookies and treats practically every time I go to the office), the experience of a professional workplace environment, the frankly impressive student rate of pay, and the continuous learning encouraged there. I truly hope to continue to work for CRA, after I graduate university this summer with my Bachelor’s degree, by bridging into a full-time position there. My advice is to take every opportunity you encounter that even remotely piques your interest. Put yourself out there. Try everything. Take breadth classes; apply for programs far and wide. Don’t ever put yourself in a box because you think you’ve settled on something, or because you’re scared or shy. You never know what you find you will enjoy and discover a passion for, or where things will take you. Even if you try something and find you don’t like it, at least you know that it’s not for you. My opportunities just kind of fell into my lap, but if I could do it over, I would be more pro-active and really search out the possibilities. There is such a wealth of programs and opportunities for engagement for students and finding them just takes some determination and a Google search. PS. If you see me on campus, feel free to come up and discuss any questions you may have about CRA or the ASEP program... It’s my job after all! Read about other student experiences at the CRA. Find out more about the SFU French Co-hort program.